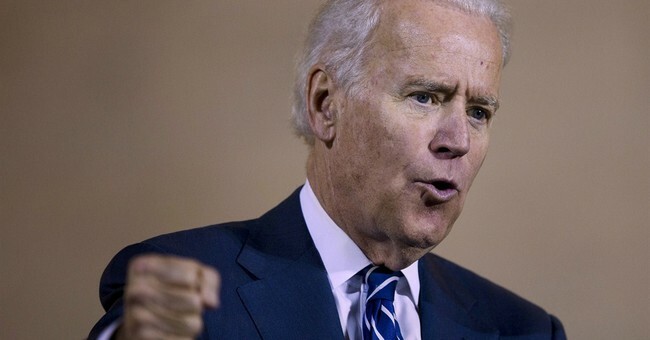 Biden: "[O]n Every Major Issue, the American People Agree With the Democratic Party"
For conservative bloggers, Vice President Joe Biden is the gift that keeps on giving. “For the first time in my career … on every major issue, the American people agree with the Democratic Party,” said Biden, rattling off areas where polling shows that agreement, such as: reproductive issues, early childhood education, an immigration overhaul, background checks for gun users and unemployment insurance. “I can’t think of a time when the issues that most affect the American people, most affect the middle class, overwhelmingly, overwhelmingly support us,” he said, praising DCCC recruitment of solid congressional candidates. The vice president offered to campaign where necessary and stressed that the game isn’t over yet. I seriously don’t even know where to begin. I suppose we could take a look at some public opinion surveys addressing a few different “major” issues? Let’s do it. (1) Buried in a new Fox News poll, 55 percent of respondents say they “wish the health care law [Obamacare] had never passed.” This includes millennials (55 percent), middle class households earning less than $50,000 per year (52 percent), and many Democrats (28 percent). Question: How many Republican members of Congress voted for that law again, Mr. Vice President? Oh right: Zero. Strike one. (2) Most Americans do not support the NSA’s meta-data collection program this president has expanded in order to bolster and aid the U.S. government’s counter-terrorism efforts. To wit, a recent USA Today/Pew Research Center poll finds that 53 percent of respondents stand firmly against the NSA's collection of Americans’ phone and data records. Surely Biden understands that not everyone supports his boss on this issue -- who just so happens to be the leader of the Democratic Party? Strike two. (3) Lastly, what about abortion? Do the American people “agree” with Democrats on right-to-life issues? Nope. Never mind that millennials are beginning to lead the national pro-life movement, a Huffington Post (!) survey conducted last summer found that 59 percent of respondents support a federal late-term abortion ban. This finding is particularly instructive. Why? Because the national Democratic Party ran on a platform that was radically pro-choice in 2012. For the most part, a majority of Americans find terminating a pregnancy after 20 weeks gestation repugnant and morally wrong. Strike three.